That though wouldn’t do justice to the man who arguably has the right to think of himself as the greatest footballer of his generation, that is if you can actually work out which generation of footballers is his seeing as he has seemingly played so consistently brilliantly throughout endless ‘generations’ of footballers. To put things in perspective, the player who most people rate as the world’s best player at the moment and perhaps of all time is Barcelona’s Lionel Messi. Messi is a man who is constantly compared with his compatriot Diego Maradona who, before the likes of Messi and Cristiano Ronaldo came along, was thought by most to have been the greatest player ever to have graced a football field. Maradona though was still playing top-flight professional football up until the late nineties and by then Ryan Giggs (getting back to the point finally, I appreciate how convoluted this may have seemed!) had already been playing top flight football for almost a decade himself with Manchester United. 16 years on from Maradona’s retirement Ryan Giggs remains a regular in one of the world’s greatest club sides. The point of raking up the past and mentioning such greats as Maradona and Messi was to demonstrate just how long Ryan Giggs has been around for, and more to the point just how long he has been around at the very pinnacle of football for. 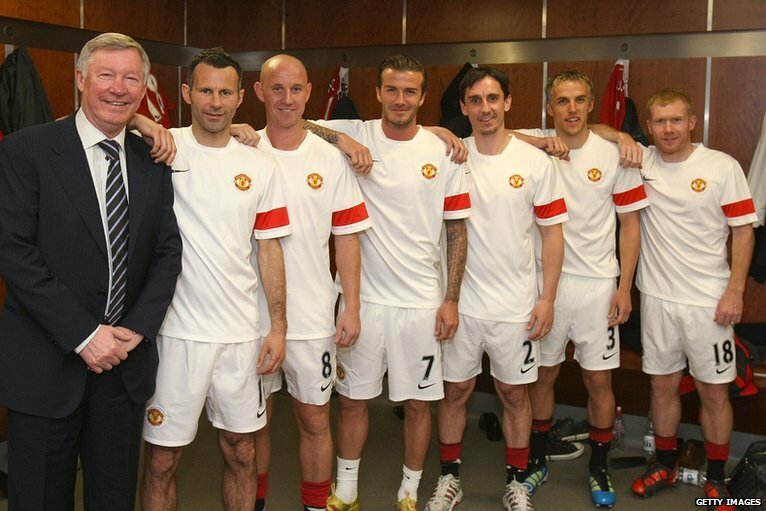 From the moment Giggs broke into the first team at Manchester United under the early guidance of Sir Alex Ferguson, who lest we forget was only a fledgling name himself on the global footballing agenda at the time, he looked an enormous talent and he quickly became a key player in a developing and hugely successful side. It is hard to believe now that United had before the early nineties endured a lengthy baron spell in terms of wining major trophies, but if their return to winning ways and worldwide prominence in the early nineties is mainly attributable to the brilliance of Sir Alex Ferguson, then surely the next greatest reason for this still ongoing golden era for the club has been the constant presence and genius of a certain Mr. Giggs. In his club career Giggs has remained loyal to the club that gave him his big break and boy has he been rewarded for doing so. His career to date has lasted longer than two decades which has brought us up to this point in time where he stands on the verge of his 1000th match, which is likely to take place on Saturday the 2nd March with Norwich City his likely opponents for this landmark outing. Remarkably though, in spite of his advancing years and the toll of having appeared in 999 top class football games for club and country, Giggs is continuing to demonstrate his genuine world-class ability and huge worth to the club that have served him so well. He may be set to turn 40 in the near future but the past six weeks have served as a timely reminder of just why Giggs is still considered a major asset to his club. His recent form has been logic defying and it has seen him continue his phenomenal run of having scored a league goal for United in each and every season since the Premier League’s inception. His form has been so good in fact that few of his peers, including the likes of Nemanja Vidic, Wayne Rooney and Robin Van Persie, have matched up to him over the past few games and now the great man has signed on the dotted line on yet another contract extension. This new deal will see Giggs continue his playing time with United at the very least until the end of next season and almost up until his 41st Birthday. People will of course continue to consign him to the scrapheap as they have done for a decade now, but I have no doubt that he will again feature heavily next season for the Premier League champions-elect and I wouldn’t even rule out the possibility of bagging himself another contract come this time next year. Though there is an awful lot for Giggs to celebrate there have of course been a few blotches on his record along the way, perhaps most famously his farcical public humiliation following the airing of the dirty laundry in his personal life, but also regarding his records and achievements on the football field. The major source of disappointment for him in this sense must surely be that he has never once had the opportunity to play in a major international tournament. It is staggering that a talent such as he who has been such a force in the game and for such a long time has never been blessed with the opportunity to play in a World Cup or even just in a European Championship with his native country, Wales. As sad as this is though it does little to dampen the huge impression that the Welsh wizard has left on the English and global game. Ryan Giggs has always been my footballing hero and has been my favourite player for as long as I can remember. Plenty of geniuses have come along during his time at the top such as Maradona, Figo, Zidane, Beckham, Scholes, Gerrard, Ronaldo, Henry, Ronaldinho, Kaka, Cristiano Ronaldo and Lionel Messi to name a few, but most have of them have also disappeared while he has still remained. 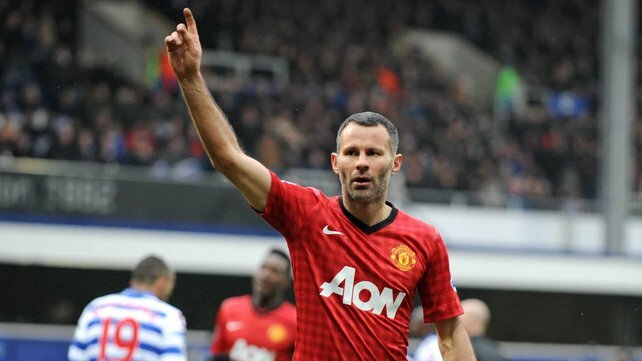 Ryan Giggs, you are an inspiration and to this day still a wonderful player. I know you’re not reading this but I can’t help gushing. You’ve been that good.